This feature article was contributed by Deb Fanslow and John Horodyski. Deb has also written the four-part feature article Who Needs A DAM Librarian? What is the new SLA DAM section? Co-chaired by John Horodyski and Deb Fanslow, the Special Library Association (SLA) recently became the home of a new Digital Asset Management (DAM) section, formed under the purview of SLA’s Information Technology Division. The DAM Section serves as a forum for members to network and exchange information and best practices on topics related to the principles and practice of managing digital assets within all industry sectors. The DAM section will host online educational webinars, delivered in collaboration with related SLA units such as the Taxonomy, Knowledge Management, and Museum, Arts and Humanities Divisions, the Data Caucus, and others. Programming will also be offered at the annual SLA Conferences, including a proposed session on the role of taxonomy in DAM (co-hosted with the Taxonomy Division) and a DAM Fundamentals CE workshop for next year’s Conference, to be held in Philadelphia on June 12-14, 2016. Why create another DAM group? Although digital asset management is practiced within all industry sectors, it often goes by different names. 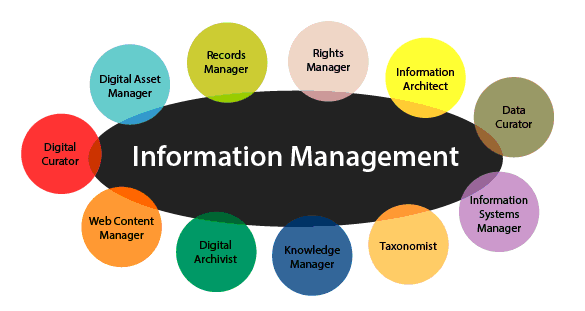 For example, DAM is now an established technology category and a rapidly growing field within the private sector, however within the nonprofit sector, DAM is better known within the library, archives, and museum communities by the terms digital libraries, digital curation or digital stewardship. 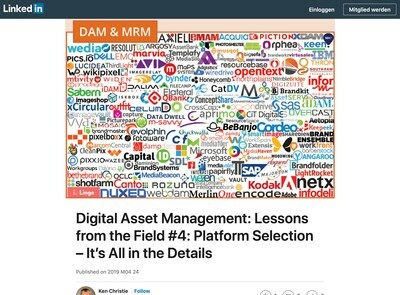 As the practice of digital asset management matures within all industries, a concurrent trend is emerging— nonprofit and public sector organizations are increasingly being represented at DAM conferences and within DAM industry journals, and nonprofit organizations are increasingly discovering the parallel industry of DAM as they search for solutions to marketing use cases within their organizations—which may or may not be aligned with their traditional collections. Although professional DAM communities have sprouted up and flourished within individual industries, there is still not enough awareness, communication, collaboration, and knowledge sharing about the practice of digital management across industry segments. 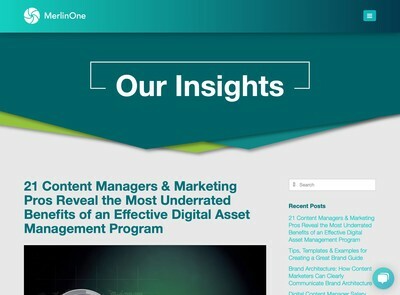 In order to mature the practice of digital asset management, digital curation, or whatever term may emerge tomorrow, communities need to engage in sharing knowledge of research and best practices. For example, experts in collection development, metadata, taxonomy, digital preservation, and copyright abound in academia, and experts in software development, data management, data security, the digital supply chain, and regulatory compliance are plentiful within the public and private sector. While these areas of expertise are certainly not mutually exclusive, DAM practitioners within all industries can benefit from reaching out to experts outside their immediate industry for inspiration, study, and solutions to common challenges. 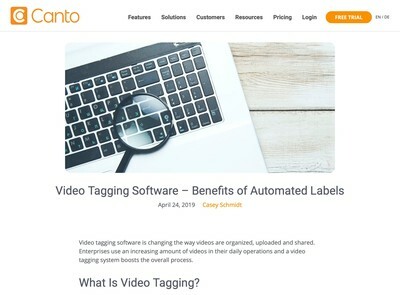 As such, we are all dealing with similar issues and challenges in our efforts to effectively and efficiently store, manage, preserve, and distribute digital content for our organizations. Although DAM professionals within each sector have developed professional organizations and networks to support research and practice, there existed no avenue to support daily communication and collaboration across sectors. Hence the idea for the DAM Section was born. 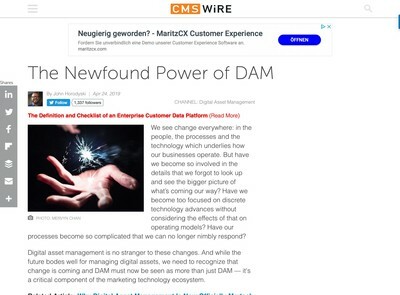 We thought it was high time that DAM communities came together to draw on each others’ strengths in the interest of maturing the practice of digital asset management. After all, today’s cultural organizations are publishers, marketers, and producers; today’s businesses maintain vast digital collections that need to be managed and preserved to one degree or another; and virtually every organization houses analog collections with untold value that could be more fully leveraged through proper curation, digitization, management, preservation, and provision of relevant access points. Why did we choose SLA as home base? We chose SLA as the home for the new DAM Section for a few reasons. First, SLA has a ready-made target audience. SLA membership is comprised of information professionals already working within the private sector within a variety of roles (including DAM), as well as a significant body of academic librarians and archivists who have expertise in digital asset management as practiced within the LIS community— an audience likely to have a high interest in mingling with DAM practitioners from within the private sector. These related Divisions and Caucuses represent fertile grounds for collaborative programming and resource sharing, which enables the DAM Section to provide more abundant and diverse educational opportunities to members. SLA conferences and webinars are open to both members and non-members (SLA members receive discounted registration); the IT newsletter and DAM Section discussion list are open and freely available to non-members. What are our goals for the DAM section? Although SLA is home base, to further the goal of facilitating collaboration, networking, and knowledge sharing across industries, the DAM Section offers educational programming and networking opportunities that are relevant to professionals practicing digital asset management within all professional communities. In addition to collaborating with SLA Divisions and Caucuses, the DAM Section hopes to increase and enrich opportunities for cross industry collaboration by developing partnerships with external organizations and other interested parties related to digital asset management. The DAM Section strives to be a member driven group. As such, we welcome and encourage feedback and ideas from members on section programming, partnerships, and initiatives. Join in the conversation today!